Having been a SPG member for several years and enjoying its benefits, Starwood and Marriott just completed their merger recently and while changes to the SPG membership has not been made, I decided to do a status match to Hilton Honors. While it is not a direct status match whereby the corresponding membership is given, Hilton Honors will provide the same status for 90 days and within that time frame, members have to achieve a total of 5 stays to get Gold status or 8 stays to get the Diamond status until March 31, 2019. Since I was travelling to New Zealand at that time, I decided to do a status match challenge, as there is no SPG properties at all in New Zealand until the Four Points in Auckland opens. Prior to being a SPG Platinum member, I did a status match to Hyatt Diamond as well. Hyatt remains one of my favourite hotel chains but their lack of properties in places where I need to go or want to go means I rarely have the chance to stay at their properties. That meant it was not feasible to continue my status with them. On the other hand, I have had good stays at some Hilton hotels including the Hilton Whistler and Hilton Milan. In addition, they are one of the brands with several appealing properties near ski resorts including the Waldorf Astoria in Park City, Utah, the Hilton in Innsbruck, Austria, the Hilton Garden Inn in Davos, Switzerland and several Doubletree properties in Colorado. My past stays at Conrad, one of their top tier brand has been great due to the small little bears that they provide on turndown service and the ability to choose your bathroom amenity. Little gifts as memories to your stay and choices are always wonderful to make a hotel more memorable. Thus even though top tier Hilton Honors members do not get a guaranteed suite upgrade, I was willing to try out their upgrade system. Full service properties within the Hilton umbrella includes: Waldorf Astoria, Conrad, Canopy by Hilton, Curio Collection, Hilton, DoubleTree by Hilton, and Tapestry Collection. In theory, the benefits are not exactly the most generous especially when compared to SPG Platinum where Platinum members get access to most of the same benefits and more at SPG properties. The benefits I would miss most would be upgrades to Junior Suites based on availability since this is rare in Hilton. However what is nice about Hilton Honors program is that guests can double-dip by earning 10 Bonus points for every US$1 earned on stays as well as a choice of getting an additional 5 Bonus points or 1 Airline miles. Various frequent flyer programs are available and since I do like earning miles for flights more than for hotels, this is very useful for me. While sometimes hotel programs have direct status matches, I have already plans to stay at some Hilton properties beforehand and that helps in gaining another hotel’s elite status without going through numerous stays without status. This meant I get the perks associated with it to try out if I like it enough. 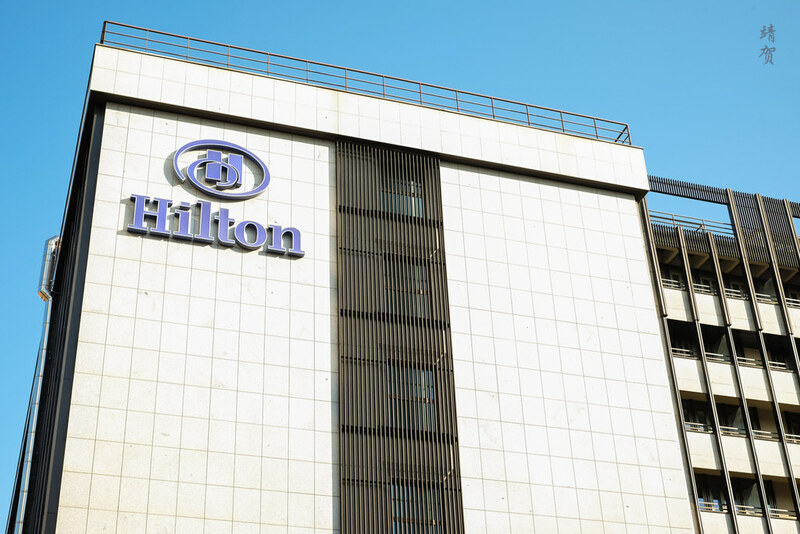 In addition, Hilton has a good number of hotels around the world, with more mid-range properties than Starwood Preferred Guest in places like Europe. They have better coverage in Australia, New Zealand and the Pacific as well. Another benefit in status matching is when you expect some changes to the program of your choice in the years to come. In this case, I am expecting some SPG benefits to be diluted after the merger with Marriott. Since I have tried several Marriott properties and I am not a big fan of them, a status match to another hotel program can be a hedge. Based on my stays with Hilton’s properties so far, I have to say I like them even though I have not received any spectacular upgrades yet. Thus in the coming year, I would try as much to stay in a Hilton property and that would diversify the range of hotels I review in this blog as well.